Introducing Perk™… the latest exciting and innovative addition to the HydraFacial family. Perk is the world’s first hybrid facial, merging a professionally delivered exfoliating treatment with a months’ worth of high-quality take-home skincare product. 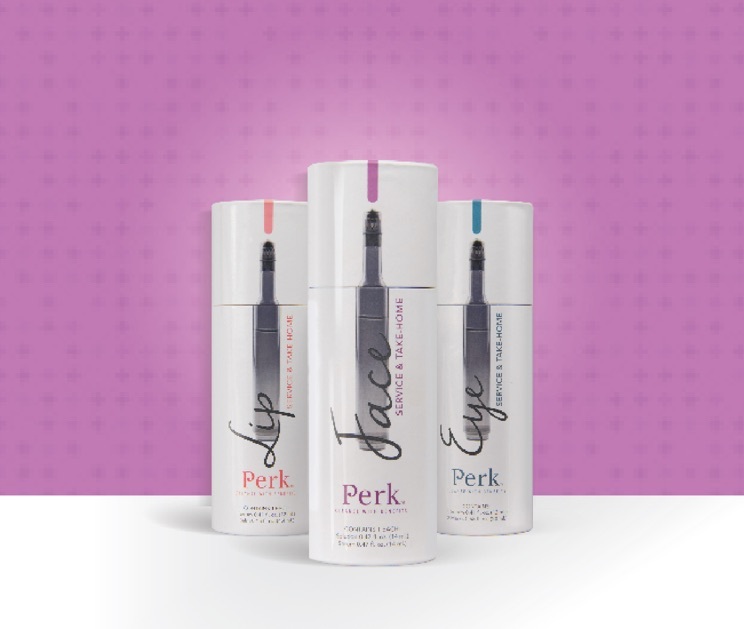 The Perk treatment is available for three areas – Lips, Eyes and Face. It can be delivered to the separate areas; treatments can be mixed and matched or given as one whole treatment, taking as little as 10 minutes. Perk can be delivered via an upgrade to the HydraFacial tower, to “Perk” up HydraFacial treatments by adding in Lip and Eye area treatments, which are not treated by the HydraFacial. This increases your clients' results, giving them a home care treatment and increasing the profitability of the treatment for your business. Perk is also available as a stand-alone device, to provide you with additional flexibility and the ability to offer the treatments in other rooms, without tying up your HydraFacial machine. 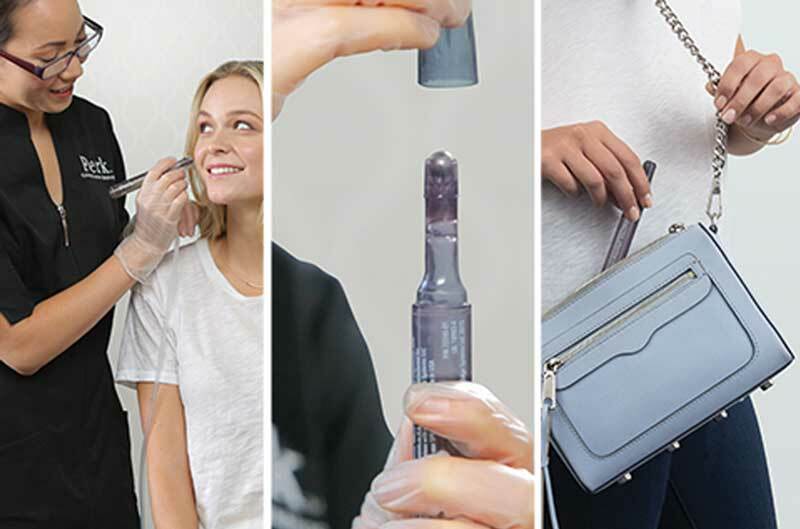 With the addition of Perk, you can now add even more value and profit easily to your HydraFacial treatments by offering your clients a simple, fast and yet effective supplement to what is already a market leading treatment. Perk uses a unique roller-flex technology to gently remove surface layer dead skin cells and impurities while delivering vital antioxidants to the skin. Pores are gently flexed as the roller ball embeds nutrients, ensuring absorption and revealing a fresh new look. Perk is designed specifically to fit into the consumers’ busy lifestyle. The treatment is available for three areas - Face, Lips, and Eyes. It can either be delivered to the separate areas; treatments can be mixed and matched or given as one whole treatment, taking as little as 10 minutes. The applicator is then taken home to enable the treatment to be continued and the effects to be enhanced over the following month until their next professionally delivered treatment is due when the product runs out. Complete the adjacent form and we will contact you with more information about how you can expand your business with HydraFacial. You can also call us on on 1300 309 233 (Australia) or 0800 888 135 (NZ). HydraFacial is a low-risk investment. If you have a minimum of 29 clients interested in regular treatments to improve the health of their skin and its appearance you can pay for HydraFacial. HydraFacial has the potential to earn at least an extra $1200 a year from any of your clients. Contact us to find out how Hydrafacial can help your business grow.